We fix garage doors in Texas City. Our local company is an expert in residential garage systems and offers full services, which include the installation of new doors and openers, the replacement of the broken and worn parts, inspections and maintenance, troubleshooting and emergency repair, and casual services. We serve the Texas City residences, respond fast, have fully equipped trucks, and can order new operators and doors for our customers. All your needs – whether urgent or routine – are handled with respect and efficiency by our team in Garage Door Repair Texas City. The installation of new Texas City garage doors is done whenever suits the schedule of our customers. You may rest easy that our technicians are expert installers and they can handle any type of door in Texas. Whether you choose insulated or regular overhead or roll up ones, it’s all the same to our professionals, who have the expertise and up to date training to install all doors. You can count on our business throughout the entire procedure of the garage door replacement since we can order the new product for you and from the manufacturer of your choice and also offer consultation in regard to which door will be more suitable for your home. We care about our customers’ safety and well-being and that’s why our garage door serviceis based on each home’s needs. When you care to replace your existing overhead door, we offer solutions to enhance your security, easy access, overall convenience and safety. From doors to openers and parts, we can replace everything, but are also here to take care of issues and fix your garage doors when they don’t work right. Our Texas City garage door company offers annual maintenance, inspections and lubrication, makes adjustments and replacements, and repairs doors and operators. When the door doesn’t open fully or fails to close down on the floor, give us a call. 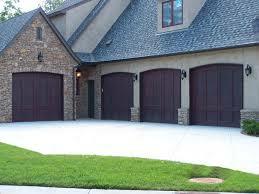 We help in a timely manner, offer emergency garage doors repair, and fix any issue with any part. Count on our assistance and quick response.